Tim, Melanie, Jim and Jody. 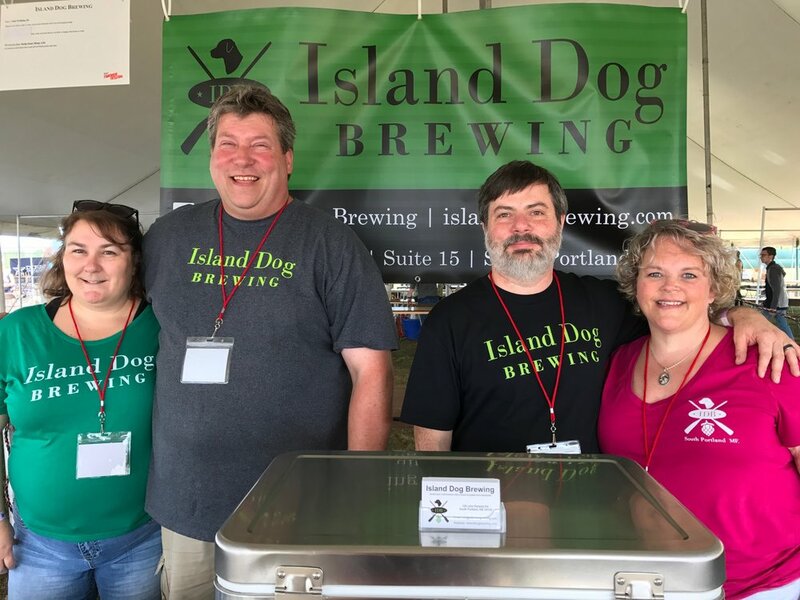 Island Dog Brewing was established by my wife, Jody, and myself in 2016 as a small craft brewery that will produce primarily Belgian and German inspired ales; herb and spice ales; and seasonal ales. Our product doctrine is to keep our batches small and our quality high. The name embodies our love for our two rescue dogs (from Puerto Rico and Costa Rica) and the beauty of Coastal Maine. Jody grew up on Mount Desert Island, where her father is still a lobsterman in his 80’s. Her love for the ocean and everything nautical has rubbed off on me. We spent several months building a comfortable space for you to try some of our beer with friends and family. We hope that you will check us out. Cheers!